One of the best parts of blogging is meeting and networking with people. 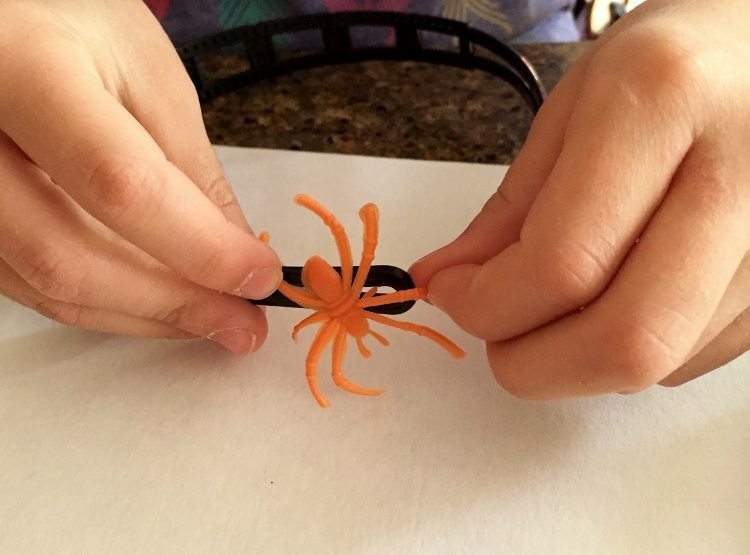 Today I want to share a Halloween craft for kids from a friend I met on Twitter. 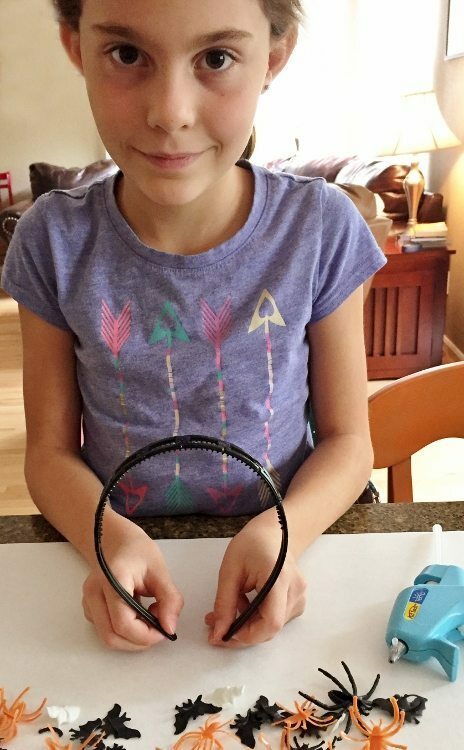 Bee has always been such an amazing support for me and my projects and when I saw this fun craft she did with her granddaughters I just had to share it. 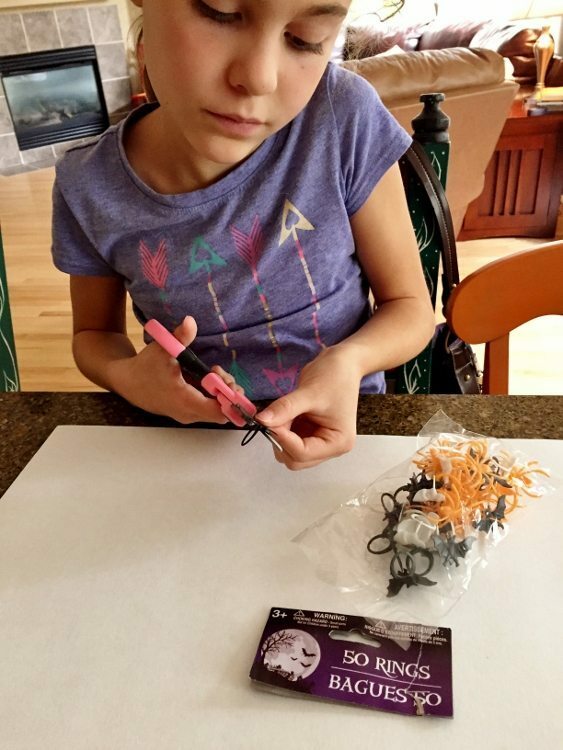 Bee and her granddaughters do a fun Halloween project every year. She gets all the items at the dollar store. 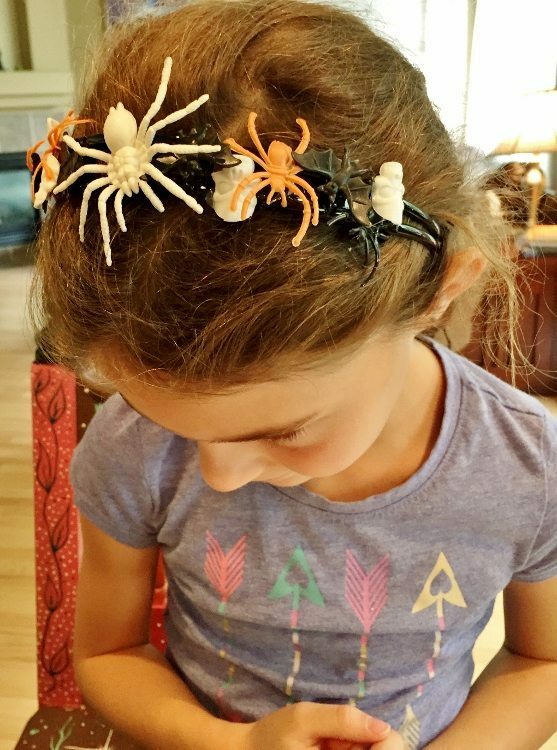 For this creepy crawly headband project she spent about $5 for 3 little girl headbands. 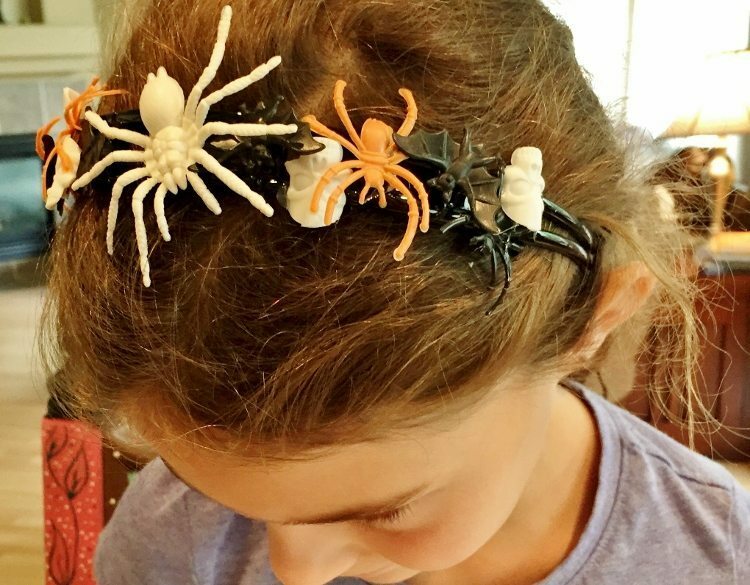 Head bands and plastic Halloween spiders can be found at the dollar store or in dollar bins at big retail stores. 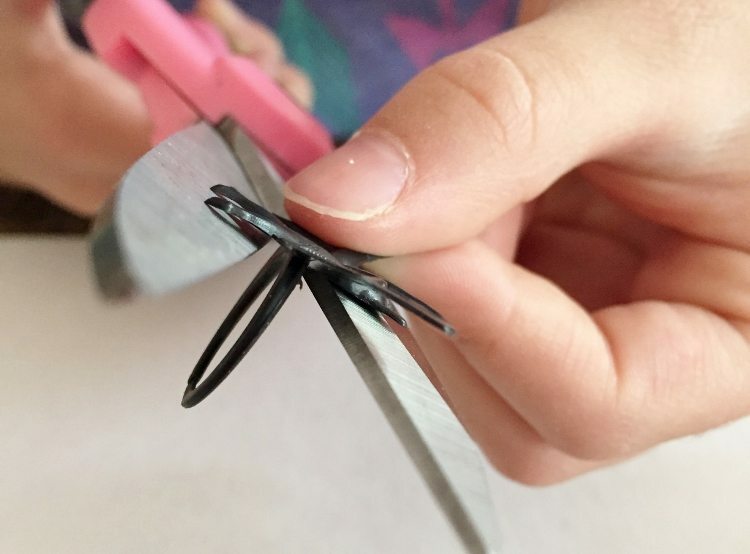 Using scissors cut the plastic ring off of the bug. Hot glue the plastic piece to the headband. Work your way around the headband until it is covered. Here is the AFTER! Bee is a licensed artist. She spends most of her time designing artwork for the manufacturing industry. You can find her at Jewel Branding as well as see her creations at www.beesturgis.com. 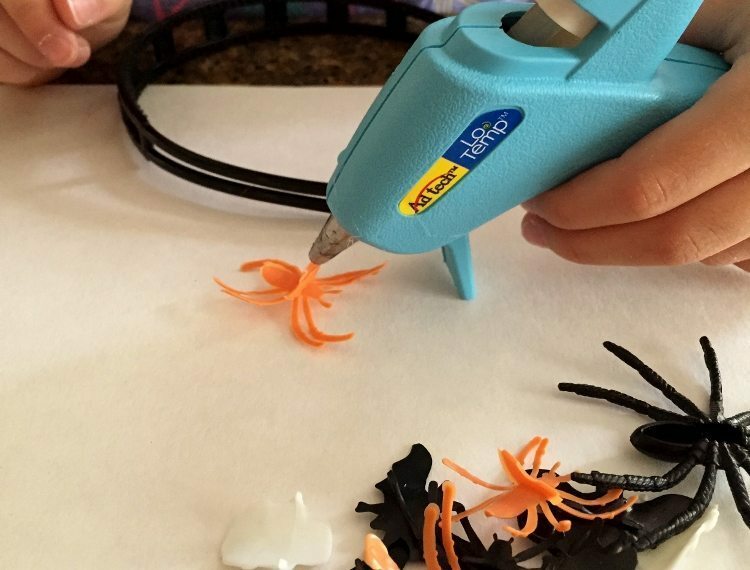 Thank you, Bee for allowing me to share this fun Halloween craft for kids!